William Dereume. Photo by Juli Majer. 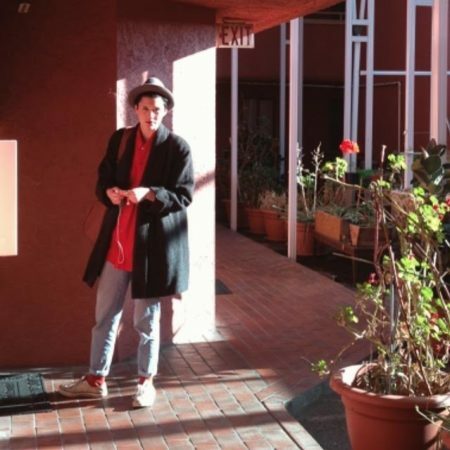 221A welcomes artists William Dereume and Juli Majer as fellows of Note on Permanent Education (N.O.P.E. 2017), the organization’s collective research program. 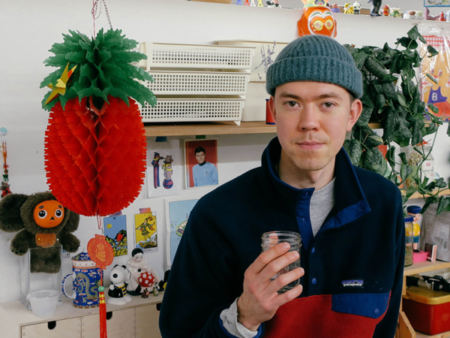 Working with 221A Librarian Vincent Tao, Dereume and Majer will develop social and cultural infrastructures informed by their artistic practices. 221A provides its fellows with subsistence resources to lead the organization’s research, production, and public programming. 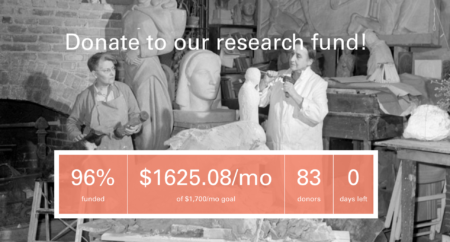 Thanks to over 80 donors, 221A is pleased to have met 96% of its goal of $1,700 a month towards its Research Fund. The funds will support the organization’s shift towards a Fellowship model, including direct financial support for artists and cultural workers such as upcoming Fellow, Amy Nugent. 221A would like to take the opportunity to thank all of our donors for their trust and commitment to the leadership of artists and in 221A’s organizational approach. We look forward to sharing further programs and services in the coming months. For inquiries about the Research Fund, donation tax receipts or other inquiries you can contact our office email at hello@221a.ca. To make a contribution and help us close our 4% gap please visit here. Pollyanna and Semi-Public will re-open Tuesday, January 9. 221A is pleased to announce the appointment of Hannah Dempsey as the Society’s Collections Auxiliary. 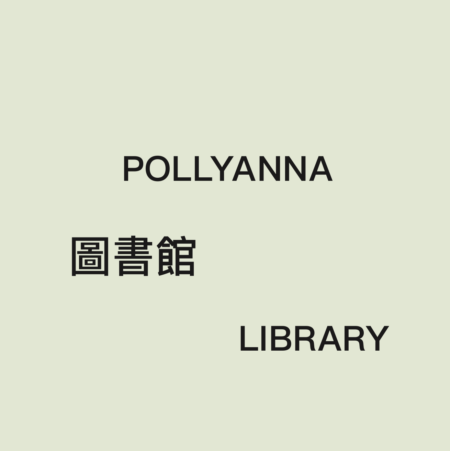 The new full-time role will compliment the Librarian in the systems development of the Pollyanna Library as it undergoes its first year as a public space for research. Hannah will bring her dedication to book works and experience working at the Emily Carr library to develop the Pollyanna Library collection systems and protocols over the coming year. Please join us in welcoming her to the community when you visit next!